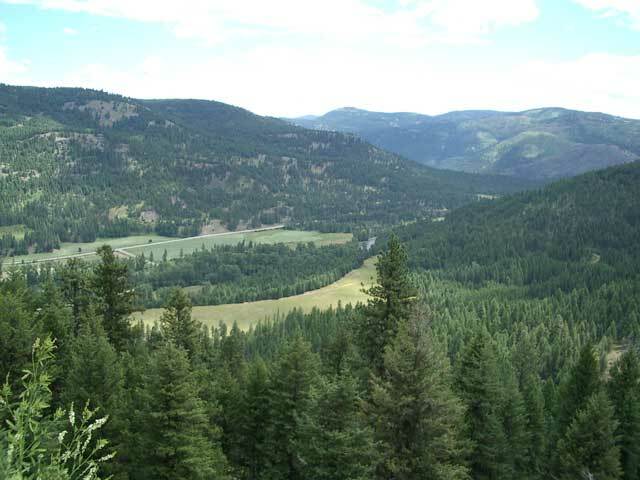 Westbridge is located 13.5 km (8.5 miles) north of Rock Creek and 35 km (22 miles) south of Beaverdell on Hwy 33. 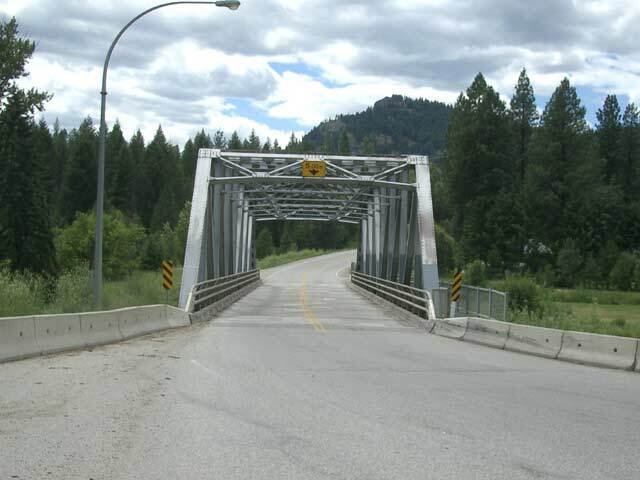 Westbridge sits at a point on Hwy 33 where a bridge crosses the West Kettle River. On the north side of the bridge is where you'll find the junction point to the Christian Valley Road and the Kettle River. Christian Valley is approximately 49 km (31 miles) away from Westbridge north-east along a section of paved to a gravel forestry road. Westbridge is a very small unincorporated community that has some ranching and farming. 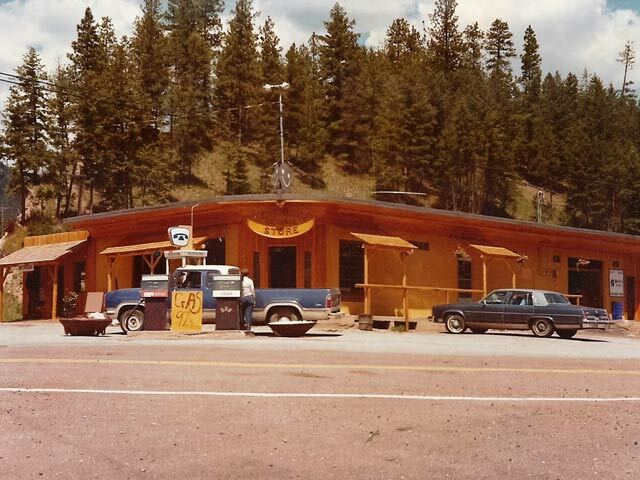 At one time there was a general store located here called the Westbridge General Store and Post Office which was near the site of the old original hotel and post office. The store served for a number of years as the main hub and meeting place for people living in the area. The general store, because of economic reasons, eventually closed and was put up for sale. For various reasons the store sat unsold for a period of time. Unfortunately, the store was destroyed by a devastating fire in 2005 while it sat unoccupied. For people living in Westbridge and Christian Valley area or if you're camping out, other local shopping, services and entertaining can be done in Rock Creek or in Beaverdell. Here you can find grocery stores, gas, pubs and accommodation. In nearby Midway there is also McMynn's Foods which has a liquor store and lottery sales. Some events in Westbridge include the Kettle River Model Airshow held at Willy Hansinger's Farm only 6.5 km (4 miles) east of Westbridge on the Christian Valley Road. The no-fee event is sponsored by the Kettle River Model Flyers and happens in mid-July. Westbridge also sits at a point just south of where you can find access to the Trans-Canada Trail. The trail access is just on the south side of the bridge crossing over the West Kettle River off a well packed gravel lane. You can travel either way, north to the abandoned rail station of Rhone, or south to the no-longer rail point of Zamora. If you are travelling north on the Trans-Canada Trail-KVR to Rhone 7 km (4.4 miles) from Westbridge, you'll come to Paul Lautard's War Memorial. Paul has also built the Cyclist Rest Stop, a shelter for cyclists and walkers along the trail. If you do bump into Paul, he is very informative about the West Kettle River Valley. For Rainbow Trout fishing, you have a number of options available in the area. There is the Kettle and West Kettle rivers located right on either side of Westbridge, up the Christian Valley 64 km (40 miles) at Copperkettle Lake (requires a 3 km [2 miles] hike) and Conkle Lake about 16 km (10 miles) away from Hwy 33, just north of Westbridge on a steep rough forest service road. If you do decide to take the trek into Conkle Lake, be prepared to take your time on the forestry road. 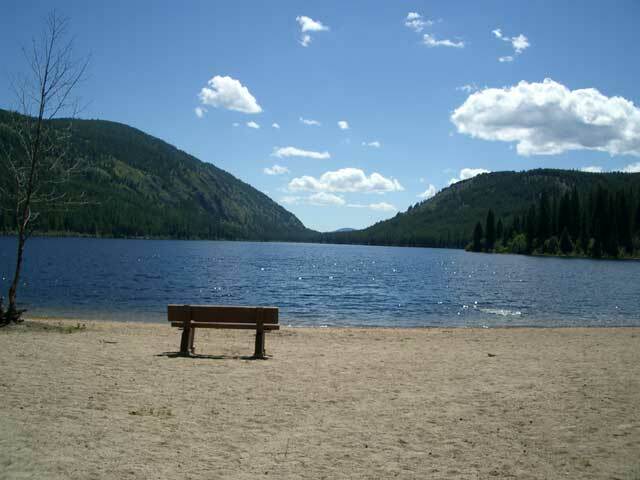 Once at Conkle Lake, you'll find Conkle Lake Provincial Park which has a boat launch, campground and a white sandy beach at one end. The campground is very quiet and features a trail that goes to the end of the lake and tends to follow the shoreline. A really popular thing to do in the summer is for people to tube the river from the bridge at Westbridge to the Kettle River Provincial Park. 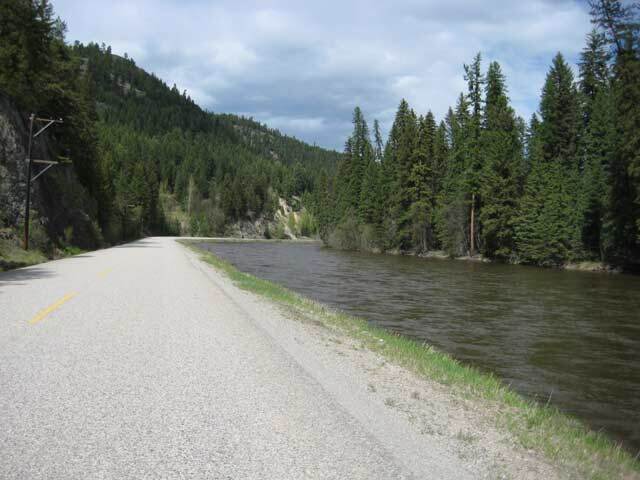 Along the way, near the beginning of the route, you'll pass the confluence of the Kettle and the West Kettle Rivers. Just remember, while tubing past farmers' fields that this is private land, so please respect their privacy. The Christian Valley has, for a few years, become a centre for spiritual awareness by the teachings found at the Humuh Monastery through Master Maticintin. Specializing in Buddhist Transcendental Meditation, the Humuh Monastery and Skycliffe Retreat Centre are located up the Christian Valley Road by going to the 27 km (17 miles) marker and following the signs. If you do decide to go up the Christian Valley Road and want some adventure the very remote backcountry gravel road continues to the north. It will eventually reach Hwy 6 near the headwaters of the Kettle River approximately 172 km (108 miles) away, just east of Cherryville. There are lots of rustic forest service campgrounds along the way that feature fishing holes. If you do require RV camping or a tent site while visiting Westbridge there is both the Little Dipper Hideaway and the Old Cowboy Ranch. 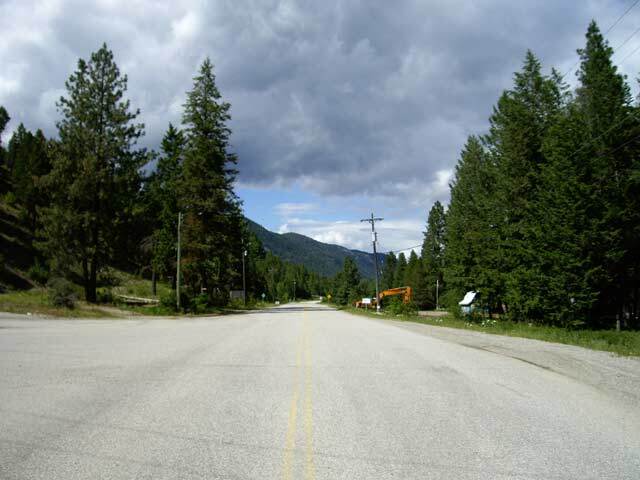 The Kettle River RV Park is located 9 km (5.6 miles) east of the junction of Hwy 3 and Hwy 33 in Rock Creek at a settlement called Kettle Valley. 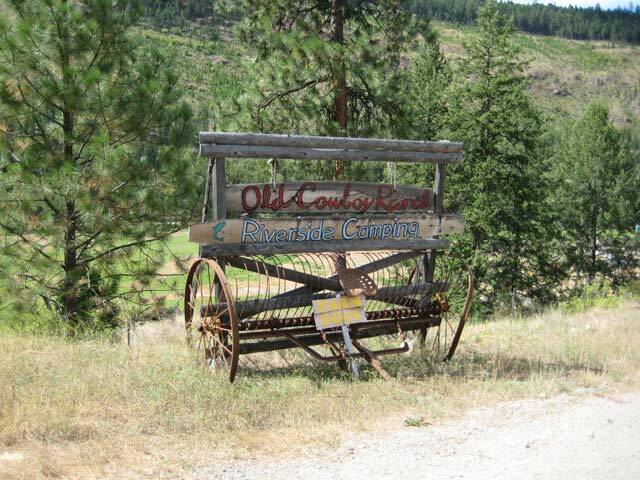 The Old Cowboy Ranch is only 3 km (2 miles) from Westbridge features include large campsites on the Kettle River in a working ranch environment. For accommodation there are cabins plus a large private campground next to the river suitable for RV's and tenting complete with picnic tables and fire pits. 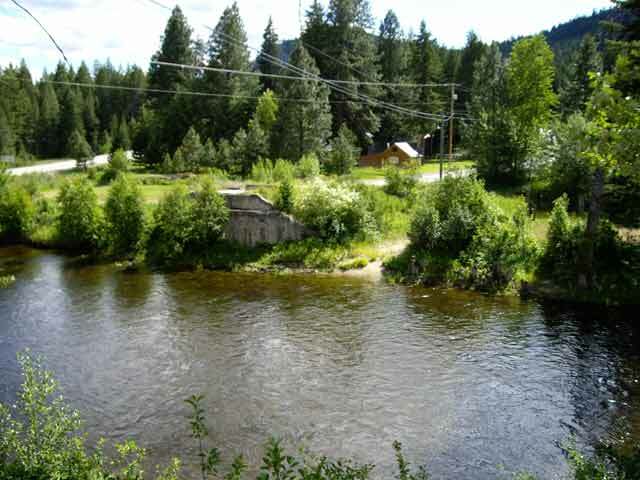 The Little Dipper Hideaway is located on the Blythe Rhone Road 10 km 6 miles) north on Hwy 33 in Rhone and features access to the West Kettle River and the Trans-Canada KVR Trail. 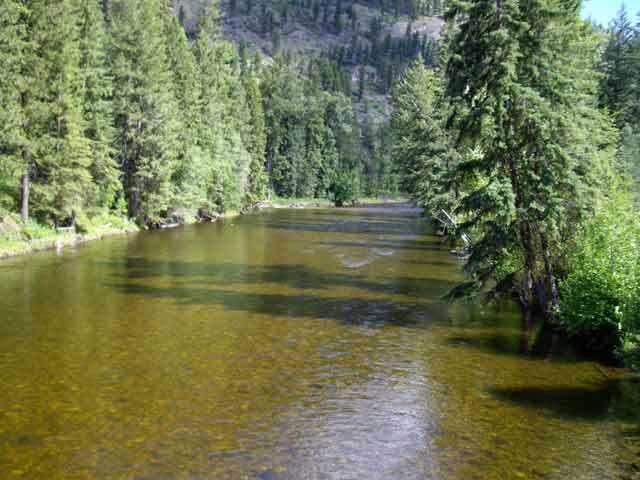 Another provincial park close by to Westbridge is towards Rock Creek on Hwy 33 called Kettle River Provincial Park. 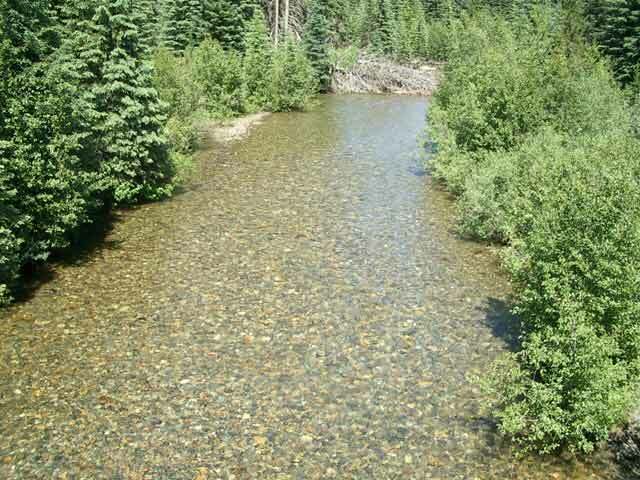 The park features a great swimming hole, campground and access to the Trans-Canada Trail-KVR route.